Tuscany is a Region in Italy with a lot of hills, smaller and bigger historic towns and beautiful details. The whole region is a big photography playground and covers everything from underwater to drone photography. 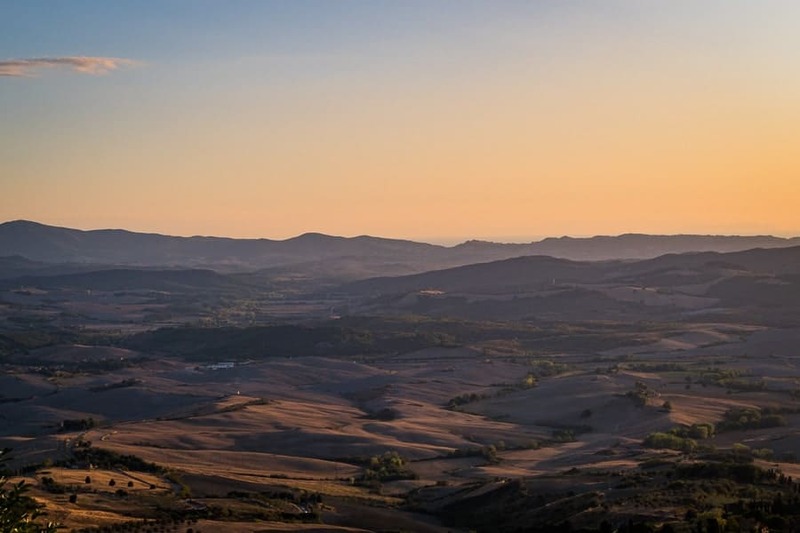 This article gives you some inspiration and ideas for your trip to photographer’s paradise Tuscany. There are a lot of roads in Tuscany everywhere. This means the best way to travel in Tuscany is going by car. You can stop almost everywhere at the roads. By going with a car you have more flexibility to take every chance for a good picture. Do not leave anything visible in the car; Italy is infamous of car cracking. I also can not recommend going by public transport. The public transport in Italy is very unreliable. 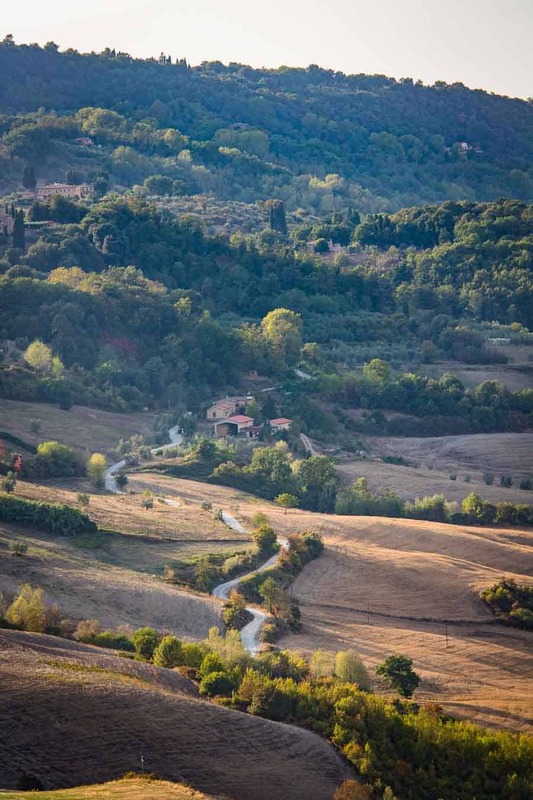 If you want to go to photograph in Tuscany you should travel around and not stay at one spot. Tuscany is big and has a lot of different things to shoot. A good tip to get a not to expensive accommodation and get some good tips for photography is to stay in an “Agriturismo”. It is a popular accommodation in the countryside of Italy. Local farmers rent rooms for tourists and offer their own products for meals. They most time speaks good English and can help you to find good photo spots. 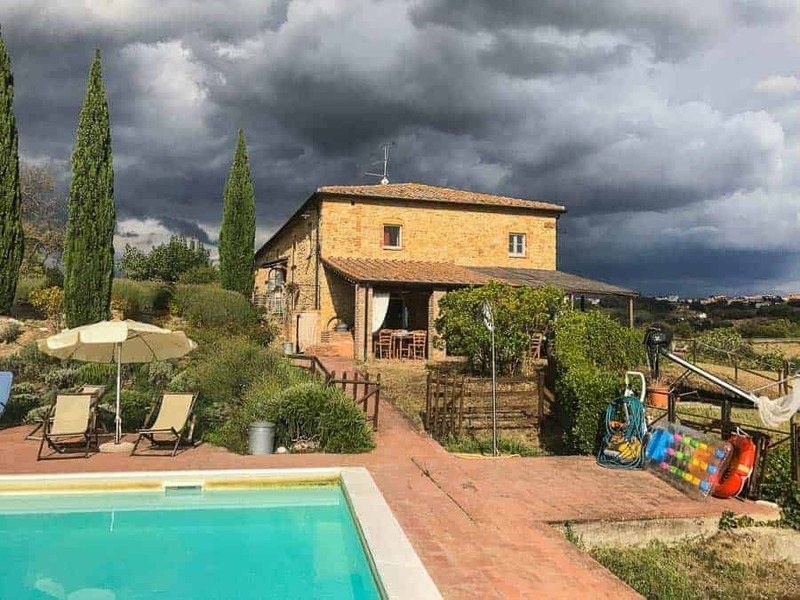 Just search “Agriturismo Tuscany” and you will find some offers. Some of them can be even found near bigger towns like Florence. First some things about the gear you should bring. Because the region is so versatile this are only some tips to consider. Tuscany is not really wide-angle lens land. Most of the interesting things get lost when you are shooting wide-angle. When you stay mostly in towns or villages wide angle lenses are perfect. There are also sometimes there cool spots for your wide-angle lenses but most of the time you can get the best pictures with a long lens. The most pictures I took on the last trip to Tuscany where made with the 70-200mm on a Canon Crop camera, which means a focal length of 112-320mm. Because you are most times far away from your object you have to bring a long lens. Many of the good photo spots are on hills so you have a big distance to interesting objects on the next hills or down in the valleys. A long lens is a must have for your trip to Tuscany. You get also more compression ion your pictures and the hills seem closer to each other. A longer lens than 200mm is highly recommended when you want to photograph wildlife. In most of the touristic towns there are many tourists, especially from spring to autumn. The historic towns are magnets for tourists from all around the world. This means there are a lot of people who run through your pictures. To avoid this bring a ND filter and a tripod to make the people invisible with long time exposure or use the technique to remove people with Photoshop. A tripod will also help when you take pictures during the blue hour or pictures from landscapes at low light in the morning and evening. In Tuscany there are so many opportunities for drone pictures. The winding roads on the hills are beautiful to photograph from a birds perspective. There are also hot springs which look like from out of this world and are beautiful from above. The Drone regulations in Italy seems to be not so complicated but strict. I found this website, but check if there are new regulations before you go there with your drone. There are so many cool places to take pictures in Tuscany. At sunrise you can go nearly on every hill and take beautiful, colorful sunrise pictures. Here are some locations which are special to mention, because there are so beautiful or not well known. More great spots are in the Really Great Photo Spots App (rGPS). The Val d’Orcia is maybe the most known photo spot in Tuscany. It has a typical Tuscan landscape and since 2004 it is a World Heritage Site. It is a two hour drive from Rome in the south of Tuscany. 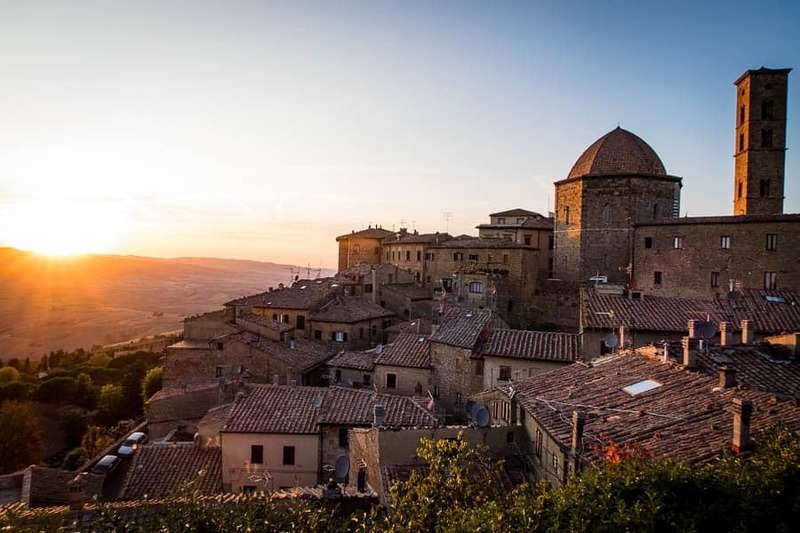 There are many spots in the Val d’Orcia and you can find them all in the rGPS App. 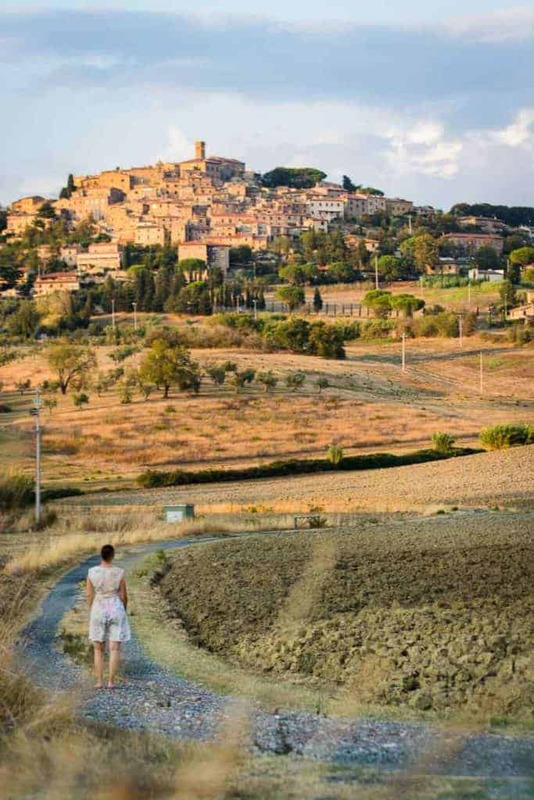 Just search Pienza (small town there) in the App. 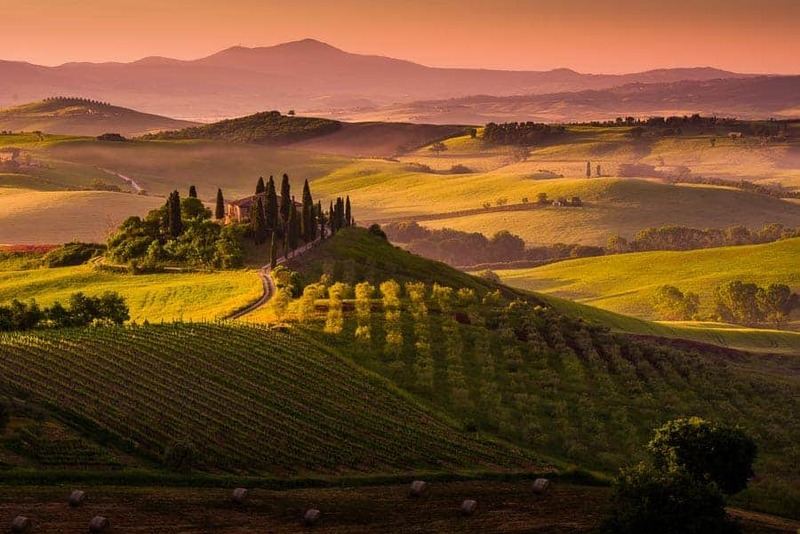 Val d'Orcia in the morning, photo by Jim Harmer. Bolgheri is a village near the coast of Tuscany with a medieval charm. It is also well known for the famous wines. For photographers there is one of the most amazing photo spots in Tuscany, the 4.5 km long, straight avenue of cypresses. It is a perfect sunset location because the sun goes down in the sea and you have the amazing road and the beautiful lighted sea. It can be also found in the rGPS App. You have also some cool olive groves and a beautiful view to the Isola d’Elba. Tuscany is known for its hot springs. There are also thermal power stations in the Tuscan hills. One of the most amazing hot springs is the Cascate del Mulino near Saturnia. It looks like a river from another planet and it is perfect for a drone picture. Do not forget to bring your swimwear, you can swim there for free. Unfortunately the location is not in the rGPS App so just search for «Cascate del Mulino» on Google Maps. There are some bigger towns in Tuscany, all with a beautiful historic centre. My three are Florence, Siena and Pisa. There are some more but these are also the most popular. 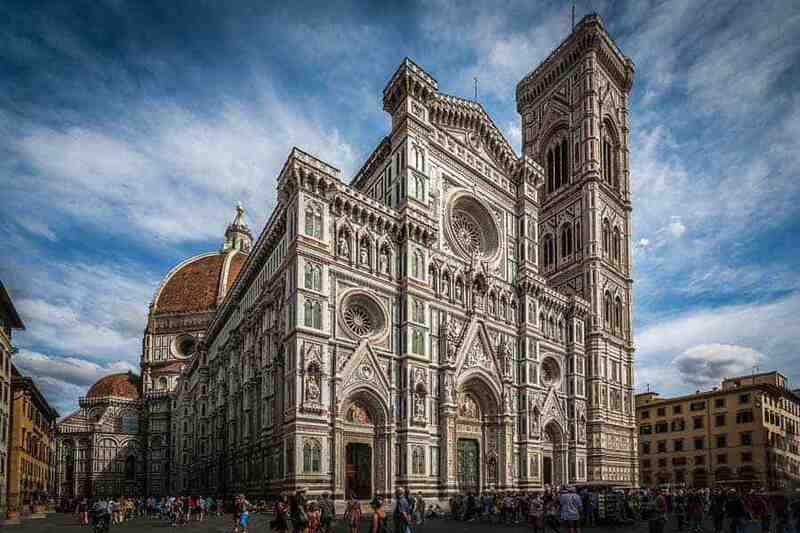 All have beautiful historic buildings like the Ponte Vecchio or the cathedral in Florence, the leaning tower of Pisa or the Cathedral of Siena. In the summer the towns are a bit overcrowded especially during the day. If you want it a bit quieter go in the morning or evening. There are also a lot of smaller historic towns. Nearly on every second hill you can find a small town, a village or a house with good picture opportunities. For example there is San Gimignano which is known for its towers and other beautiful smaller towns like Volterra or Massa Marittima. You can go in every small historic town and make some great pictures. Typical motives are the small alleys which exist in every town. They are also good objects to integrate in your landscape images especially in drone pictures. 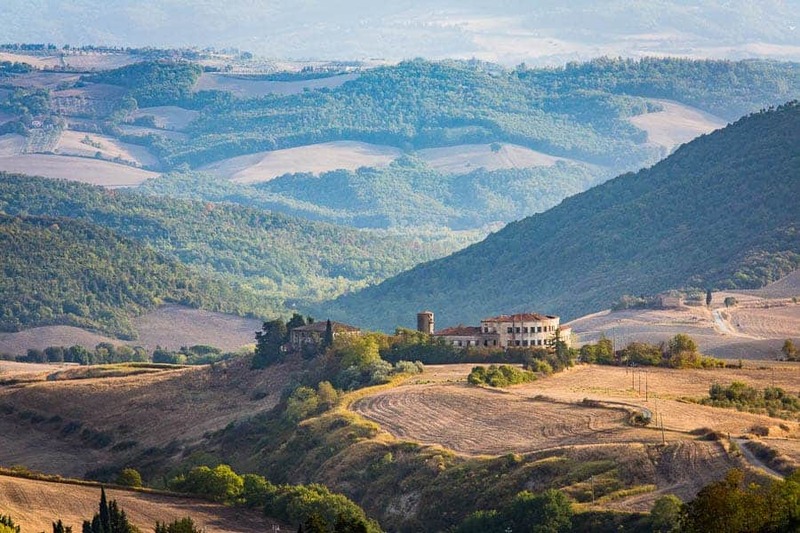 Most photographers know pictures from the hills of Val d’Orcia but Tuscany is also known for its beautiful coast line. The whole coast is on the west coast of Italy, which means that you have Sunsets in the Mediterranean Sea. One place there is the castle of Populonia. It is built on a hill over the sea with a beautiful view over the Golfo di Baratti and the Isola d’Elba. The Golfo di Baratti is also a good location with its iconic stone pines. If you go to Tuscany take a closer look to the coastline. Some spots that are less known are the Islands of the Tuscan Archipelago. The most known Islands are Elba, Giglio (Costa Concordia disaster) and Montecristo (The Count of Monte Cristo), but there are some other bigger and smaller islands. The sea around the islands is a popular diving spot so if you are looking for an underwater photography spot in Tuscany you have many possibilities. The islands itself are also good for photography. There are sleeping possibilities on the bigger islands or you can book daytrips to some of the Islands. If you are interested in wildlife or bird photography the Parco Naturale della Maremma (Natural Park of Maremma) is a very good spot. During the bird migration in spring and autumn it is a popular spot to stop for birds. In the summer it is a popular nesting spot for a lot of different bird even some rare and beautiful like the European roller or the bee-eaters. In the winter you can see and photograph big starling murmuration. They come together in the evening and make stunning flight formations. It is also a good spot to photograph birds of prey or mammals like foxes or rabbits. You can make nearly at every time of the day good pictures but the morning and evening are definitely the best time for landscapes. 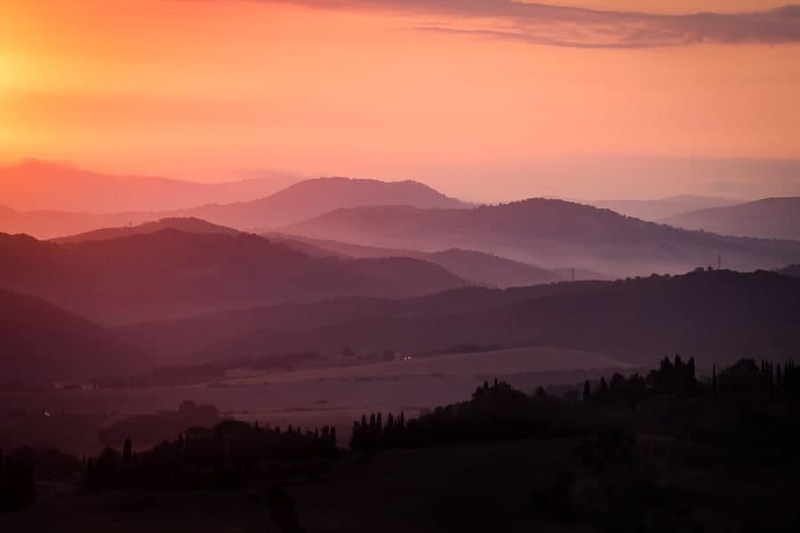 The time before and after sunrise is the best time to take pictures in Tuscany. Be at your photo spot at least half an hour before the sun rises above the hills. Because there is most time some haze in the air the sky is glowing in all shades of red. Most people and tourists will get up later, so it is also a good possibility to keep cars and people out of your picture. After the sun has risen over the hills, stay at your photo spot because the light is changing and you will get beautiful strong shadows. If you leaf too early you will miss this great light. The sunsets in Tuscany are always great and a good time for pictures. The time when it starts to get interesting is the golden hour. The hills turn in a beautiful sea of golden light and it is almost impossible to make a bad image. If you are in the backcountry the golden hour is better than the time right before the sunset. The sun is sinking behind the hills fast and after that it is very dark and the light gets boring. If you are close to the sea the best time is right around the sunset. Because of the haze in the air also in the evening you will have many shades of red in the sky, especially directly after the sunset. When you are in a town, the blue hour is a good time to go out and take some pictures. The blue sky gives a strong contrast to the most time bright colors of the houses. But not only the light will make the pictures great, all the tourists will be at dinner or in their hotels at this time. Also the longer exposure times will help to get the people out of your pictures. You can travel any time of the year to Tuscany but every season has special things that are worth to see it. When you go in spring you will have the total spring feeling. The hills are green the flowers starts to bloom. You can make awesome pictures with nice flowers especially with poppy flowers. The colorful flowers are a wonderful contrast to the green hills. It is also possible, that you can get some cold days with snow in the early spring. The prices for the accommodation are moderate and there are not so many tourists at this time in the year. The summer in Tuscany is dry and hot. The Tuscan farmers grow a lot of grain so the color of the hills is changing from green to yellow during the summer. After the grain is harvested the farmers plow the fields and they turn brown. Summer is the high season for tourism. The prices are the highest in the year and it can get really crowded because there are a lot of tourists. For photographers it is the worst time to go. The sunrises are early, the sunsets are late and the weather is hot. Not very good conditions for photography. After the summer, when the fields on the hills are plowed, the autumn comes. The landscape is still not very colorful. The main colors on the hills are brown and yellow but the trees are still green. The tourists are getting less and the prices for accommodation getting cheaper. You have still some warm days but, you can have also some really bad weather. Personally I think it is the best time for photography in Tuscany. Finally some tips what motifs are always work and are easily to see. 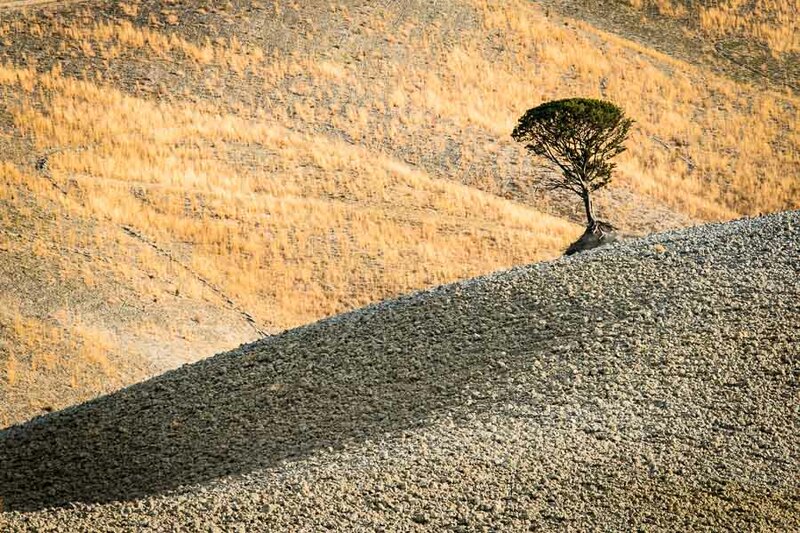 Keep looking for lone trees in the fields, they are typical for Tuscany and can be found anywhere. Most of the times they are a lone cypress or stone pine somewhere in a field. You can make really great pictures by isolating them. Just keep your eyes open while driving or search in the rGPS App. 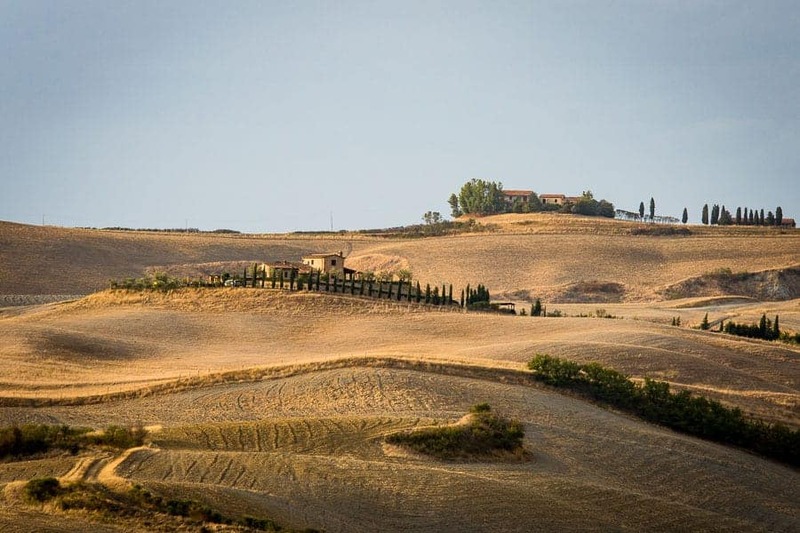 There are some iconic and well known roads with cypresses in the Val d’Orcia or at Bolgheri but the Tuscan people often plant cypresses near their roads. This cypress alleys are very beautiful to photograph and can be found all around Tuscany. They are also good for drone pictures. As I mention earlier in this article there is nearly on every second hill a building or a village. They are typical for Tuscany and great to integrate in you pictures. You can play with the foreground and photograph through some plants or use a long lens to compress the image and get the hills in the background closer. If you drive through Tuscany you can stop on every hill and find something cool to photograph. When you are on top of a hill just stop, take a look around and you can find many things to photograph. As I mentioned you can look for lone threes, cypress roads or buildings somewhere in the landscape. 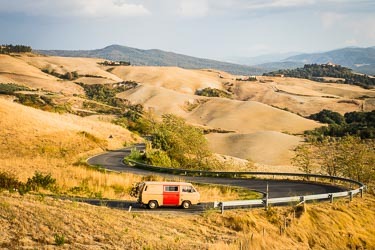 At the end some inspiring Instagram profiles with pictures of Tuscany where you can find some more inspiration or cool photo spots. 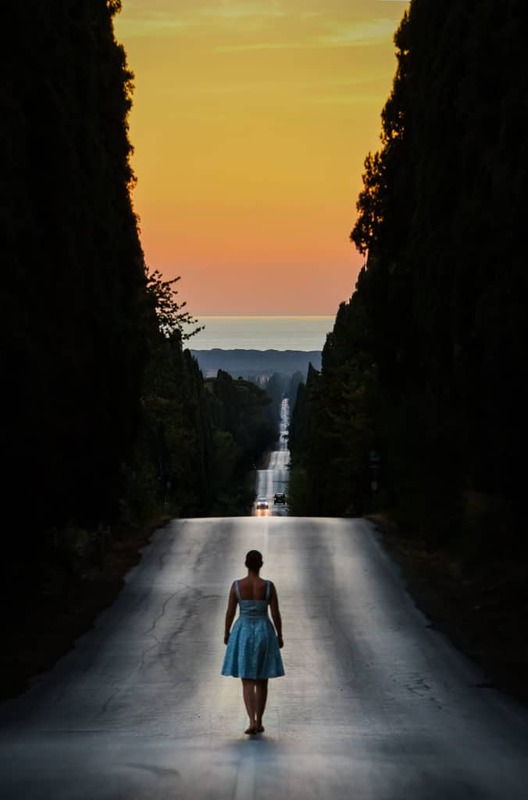 Local Tuscan Instagram community which features inspiring pictures. Another Tuscan Instagram community with a bit different pictures. Not the best pictures but definitive some inspiring locations. The official tourist information of Tuscany with beautiful pictures.